FOR COMPLETE PHOTOCOPIED DOCUMENTATION Purchase this book on Amazon. 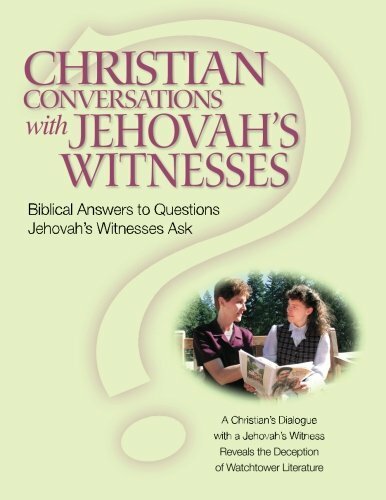 Listen MP3 | Dialogue One A: Can You Serve Jehovah Without the Watchtower “New Light”? Listen MP3 | Dialogue One B: Love Our Brother And Shun Our Mother? Listen MP3 | Dialogue Two: Is Spiritual Adoption Only For 144,000 People? Listen MP3 | Dialogue Four: How Close Is The End? Listen MP3 | Dialogue Six: How Can You Find The True Religion? Listen MP3 | Dialogue One: Did Jesus Receive His Authority In 1914? Listen MP3 | Dialogue Three: Is The “Trinity” Doctrine From Paganism? Listen MP3 | Dialogue Four: Why Is The Father “Greater” Than Jesus—John 14:28? Listen MP3 | Dialogue Five: How Can Jesus Be “With” God And At The Same Time Be God —John 1:1? 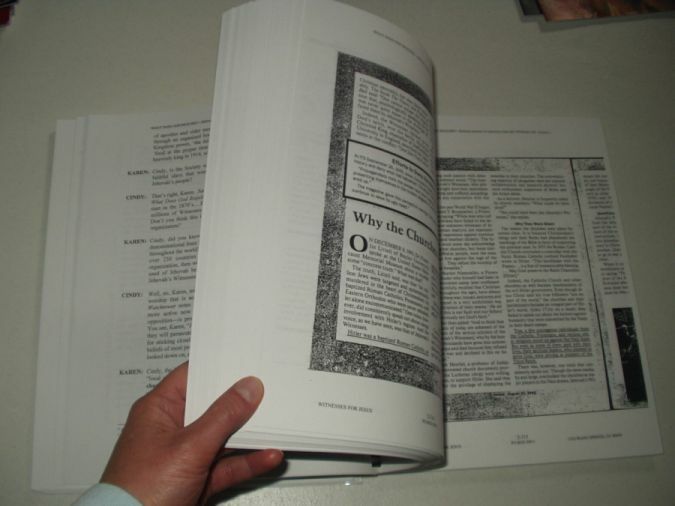 Listen MP3 | Dialogue Six: Was Jesus Created As God’s “Firstborn Son”—Colossians 1:15-16? Listen MP3 | Dialogue Seven: What Is The Proper Balance Between “Faith” And “Works” In Salvation? 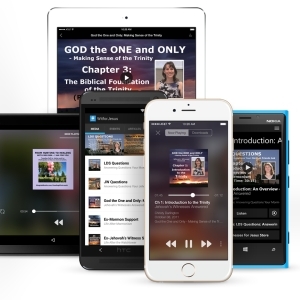 Listen MP3 | Dialogue Eight: Is Eternal Life In The Watchtower Organization A Reality? Listen MP3 | Dialogue Nine: What Must A Person Do In Order To Be Clean In God’s Eyes? Listen MP3 | Dialogue Ten: Doing God’s Will—What Does It Mean To “Come To Jesus”? Listen MP3 | Dialogue Two: Does Christian Love For Brother Demand Abstinence From War? Listen MP3 | Dialogue Four: Are Holiday And Birthday Celebrations Pagan? Listen MP3 | Dialogue Six: Is The Cross A Pagan Symbol? Listen MP3 | Question Seven: Your Decision To Serve God-Loyalty to Jehovah Or Loyalty to an Organization?